1890s autograph album with pages signed by Farmington, Maine students and others. 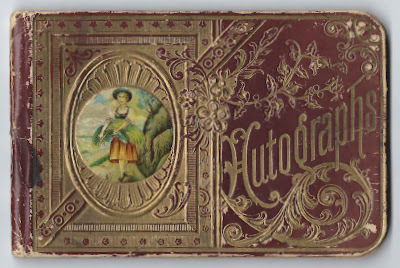 Sadly, it appears that some of the first pages in the album are missing, pages that might have given the name of the owner. 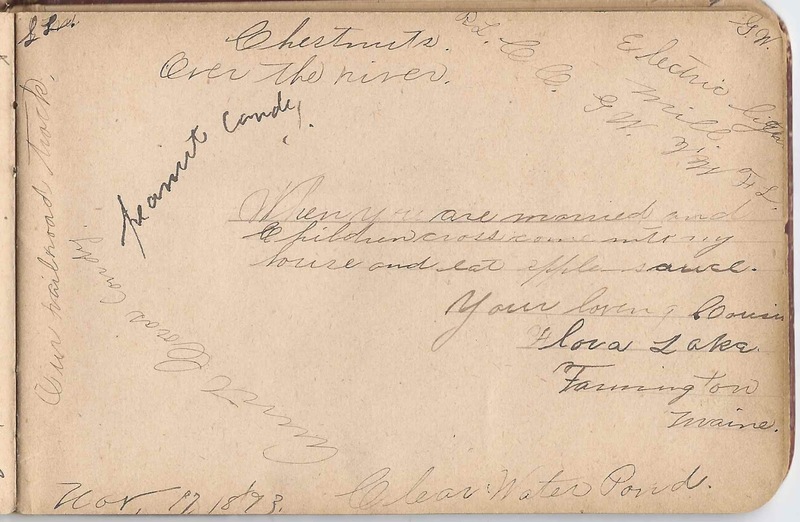 Someone with knowledge of Franklin County genealogy could probably determine the identity of the owner based on relationship clues in the album. 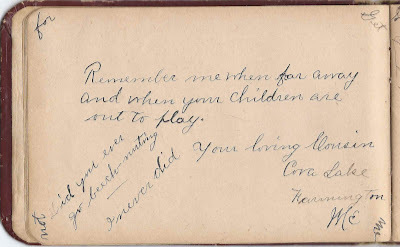 Three cousins with the surname Lake and Wheeler signed pages; more on them below. It's possible that the owner may have been named Rena, judging from the page below. But the writer may have been referring to someone else. 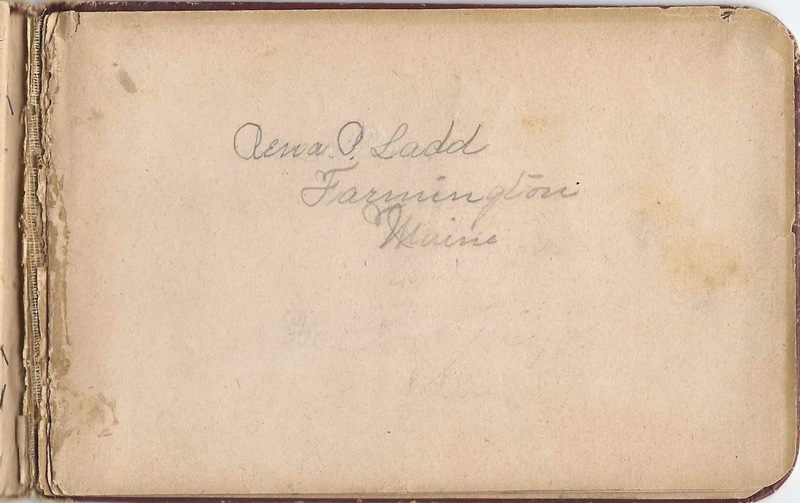 Near the end of the album is a page signed by Rena P. Ladd of Farmington, Maine. 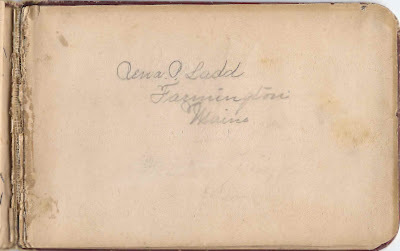 She was Irene P. Ladd, daughter of Frank and Ora/Aura Ladd. She could be the Rena referenced, a friend in common of both the album owner and Rosanna, or perhaps even the album owner herself. 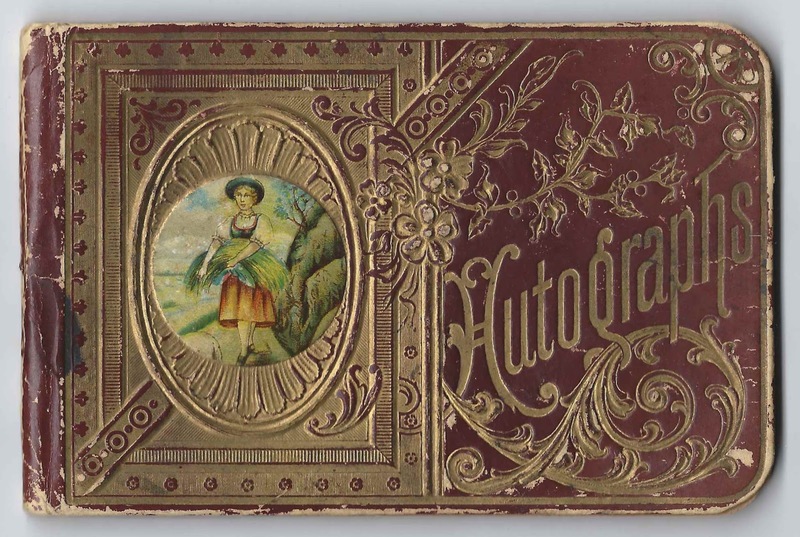 It wouldn't be unprecedented for an album owner to sign a page in the middle of the album, though uncommon. Additionally, the Ladds and Lakes, see below, were related. 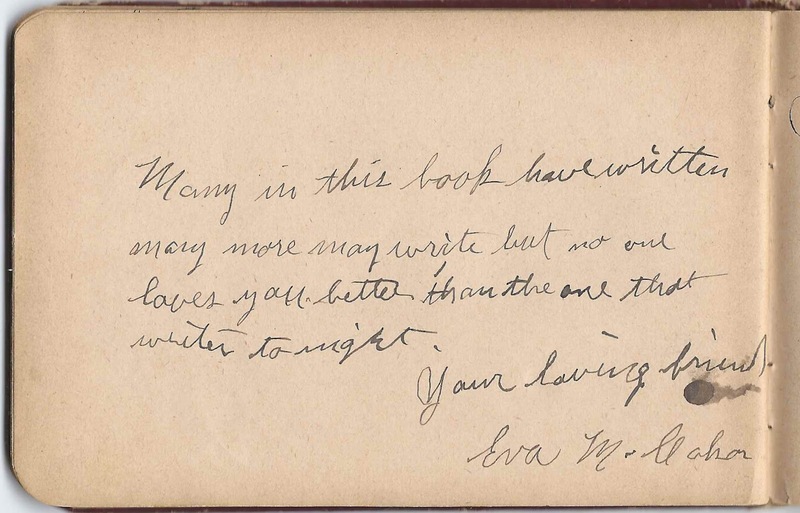 Sisters Cora Lake and Flora Lake of Farmington, Maine signed facing pages. They called themselves the album owner's cousin. 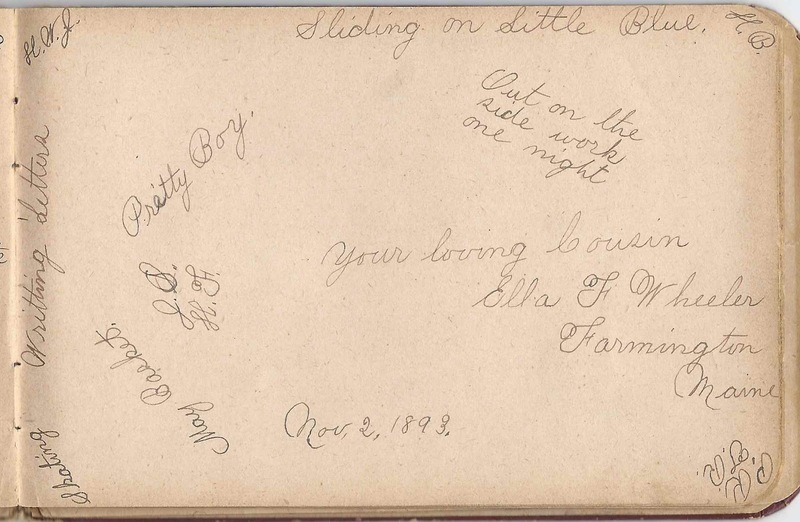 Flora dated her page November 17, 1893. 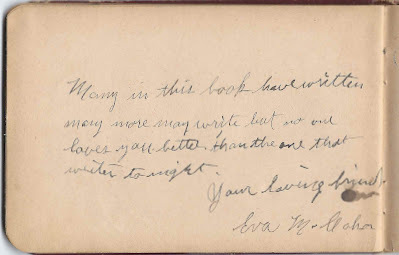 Cousin Ella F. Wheeler of Farmington, Maine, signed a page on November 2, 1893. 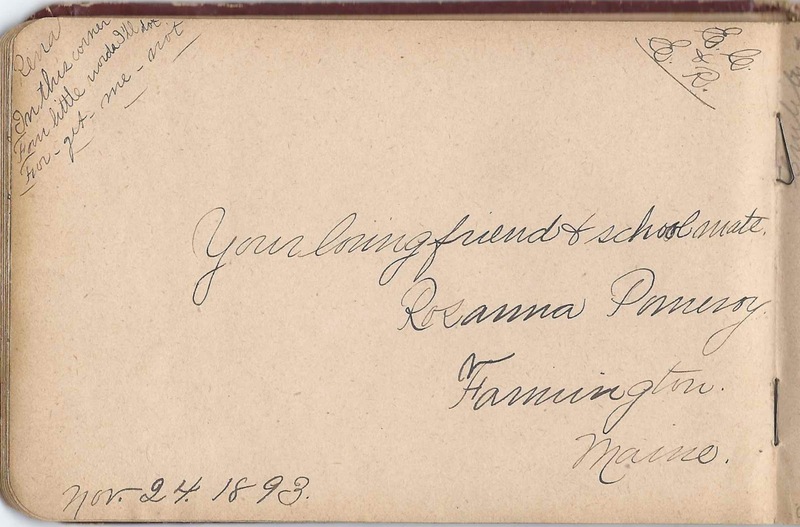 Many of the other signers were students with the album owner at Farmington. 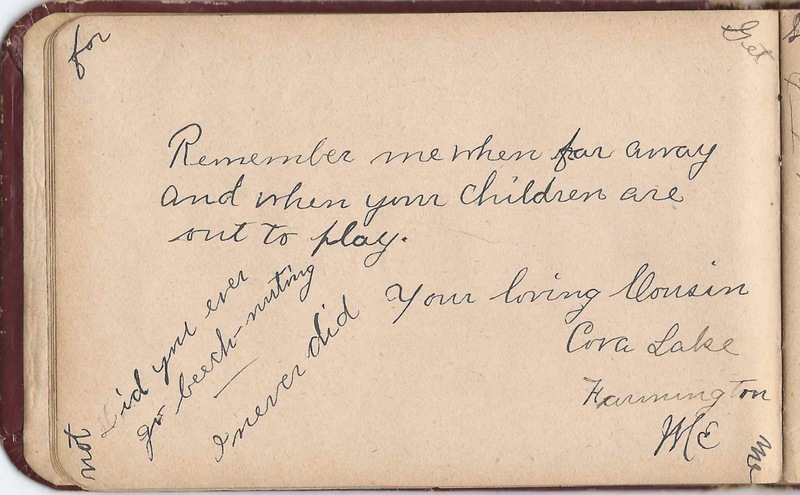 One of them, Cora G. Churchill, described herself as the album owner's seatmate. 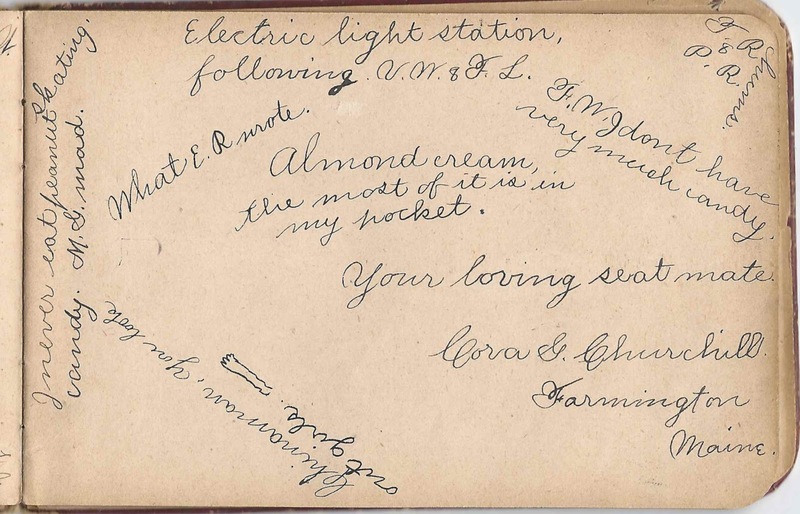 One signer's name has me stumped. I'm hoping for readers' suggestions. 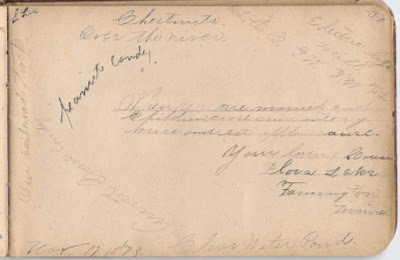 If you have a theory as to the album owner's identity, or information on any of the signers listed below, please leave a comment or contact me directly. Thanks! 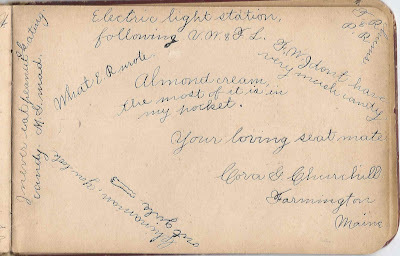 Harry B. Tarr of Lewiston, Maine, signed on January 16, 1894, "U.M." in one corner and "S.M." in another. 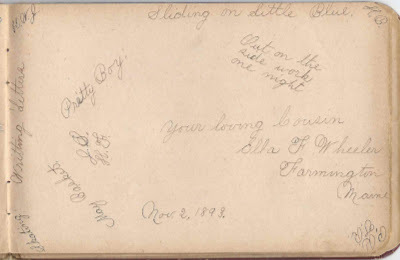 He is likely the Harry B. Tarr who signed another page.